Fabric Mart Fabricistas: Gearing Up For Fall - New Fabrics! As September inches closer by the day, we'll be saying so long to summer 2017. Boo hoo! But that brings a whole new set of exciting things ahead -- cooler temperatures, pumpkin patches, fall festivals and everything in between. As sewist, we have an abundance of sewing patterns at our fingertips, many that can be used year round. We also have so many different fabric choices to make our garments unique and interesting. Here at Fabric Mart, we are getting ready for fall with tons of new fabric filling our categories. I thought I would share some of my favorites with you. 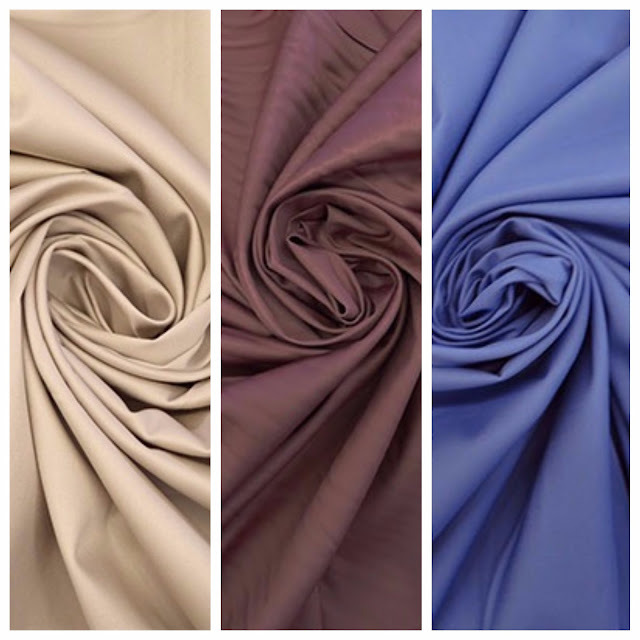 I recently picked up a whole color range of Modal/Polyester blouseweight woven solids with a suede finish. Modal is similar to rayon in it's feel and that's why we think it would be great for some of the same patterns that call for challis. We don't have a category dedicated to these beauties, but go to our shirting category to find them. Then use the filter and select "content" and then "modal". That will show all of them! Cashmerette's Webster Top would be a great option for this fabric. Also, the Datura Blouse from Deer and Doe would allow you to highlight the triangular piecing in the neckline with a lux solid fabric. 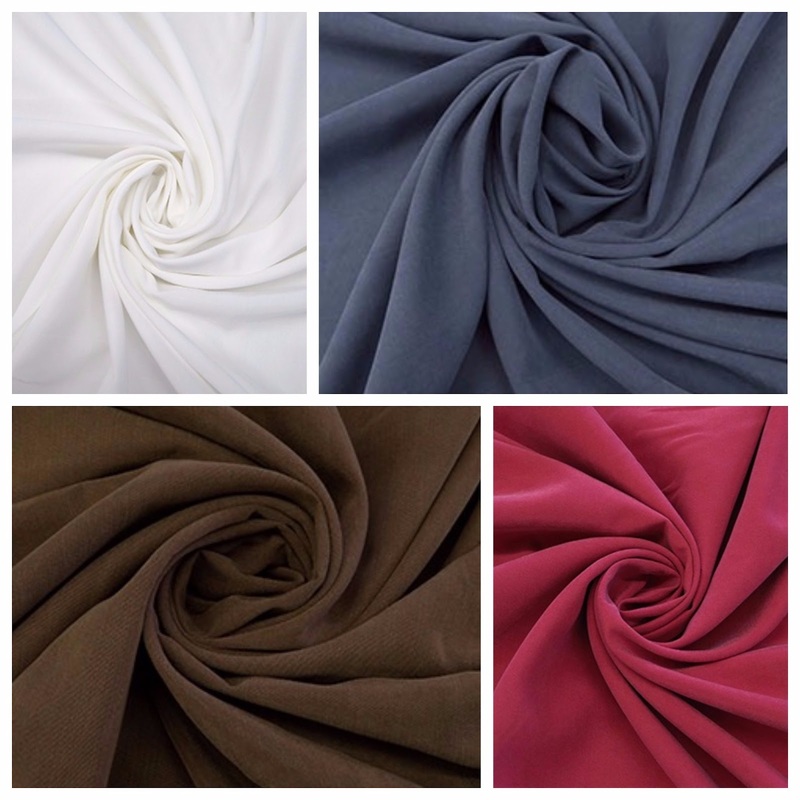 Another addition to our website this month are cotton sateen solids. They have 3% lycra, which makes them great for pants or lightweight jackets. With the array of colors we have I'm sure you'll find a match for your wardrobe. 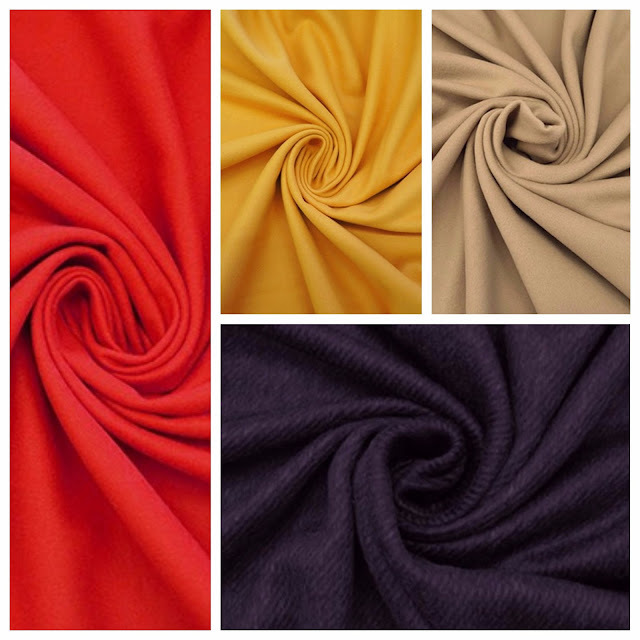 McCall's 7632 takes a jumpsuit into fall and it just so happens to call for sateen fabrics! Textured fabrics are on trend again this fall and we've got the right mix with our new brocade and jacquard fabrics. They are a medium weight, making them great for jackets, dresses, skirts and home decor. They also will work great for costuming! Vogue 1561, a new fall pattern release, would be a great pattern choice. And if you're looking for a costume idea, I really like McCall's 7641! Lastly, we're stocking our shelves with beautiful coating fabrics. All wool and wool blends, this is your chance to make yourself a new coat for winter. Try Closet Case Patterns Clare Coat. It's gotten great reviews on Pattern Review! 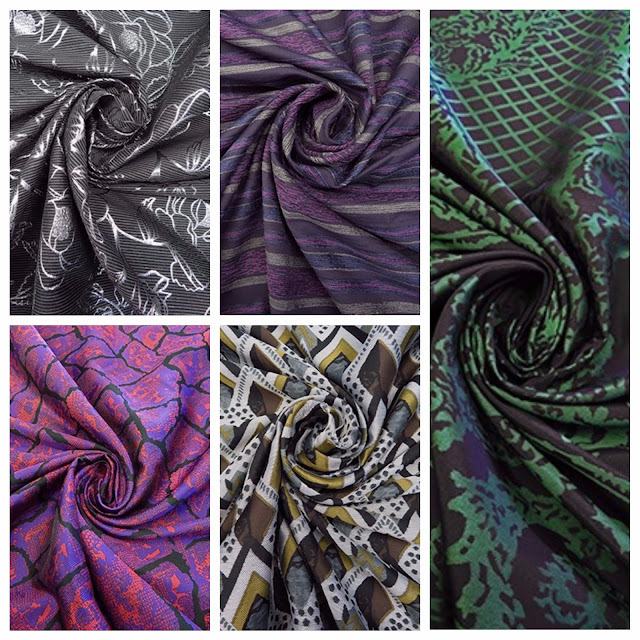 I hope you find some inspiration in this collection of new fabrics to our site. As always, they don't last long, so get them while you can! Don't forget to share your makes with us on Facebook and Instagram. Just tag us in your post, post it to our wall or send us an email with your photos. We'd love to share them with other makers!